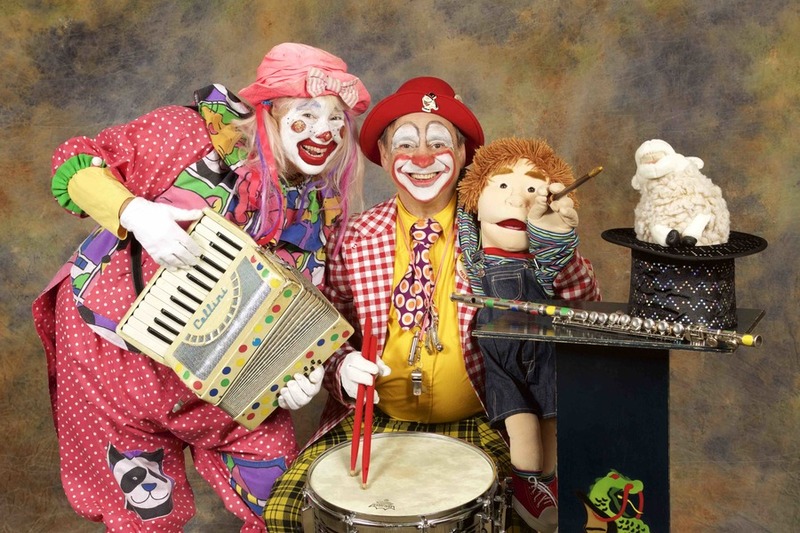 Patty and Dandy are two clowns who, ideally, should be our guides around Clown Town but through the show, the town withers away from our thoughts. Instead, there are songs and magic and jokes and puppets and a bit of dancing too but no story really. The message of the show, "I Can Do Anything", doesn’t really come across and it finished quite abruptly. I liked Dandy most because of his jokes and magic. He did a few classic tricks and a few even older jokes. I helped out with one of the tricks and couldn’t even tell how he did it when I was standing right next to him. Were there any characters you didn’t like, and why? Not at all, both of them seemed very kind and nice. I think they had the best intentions and did the best they could with a glum audience. I liked how friendly the characters were and I enjoyed the funny magic tricks and the interaction with the audience was fun at first. The age range said it was for 0-12 year olds but I think this was a ginormous mistake. It was too babyish for me and I’m not even in double digits yet. It should be for the same age as CBeebies really, six at a push. Also, the show was based too much on the audience participating and they were not really up for it. I get it, I kind of expected to go and see a show, not do a gym class. With a bigger, more enthusiastic crowd I feel like it would have been better but as it is it was, it wasn’t brilliant. This was a pretty basic show that could have been way more crazy and silly. Given that these guys have been clowns for longer than my dad has been alive I’d have thought they might be a bit tighter. They weren’t like the clowns you would see in a circus more like children’s entertainers. The best bits were when Dandy showed us magic tricks and no one thought they were going to work but they did and surprised the audience. These were good because they were the only unexpected parts. Man, this was a tough gig! Its always been my understanding that there was an unwritten law around what you can and can’t expect from a Festival audience, especially on a Sunday morning. One of the other Dads rocked up with a pint for goodness sake. So when these two clowns burst on stage and performed what was basically an American pre-schooler’s fourth birthday party to a bunch of folk in a dark theatre, it was never going to end well. It was hard not to feel for Patty and Dandy a bit, but even if I’d been stuffed full of birthday cake this show would never have been more than average. No, not friends my age anyway. I know some nursery kids that might enjoy it but only if they were ready to join in.